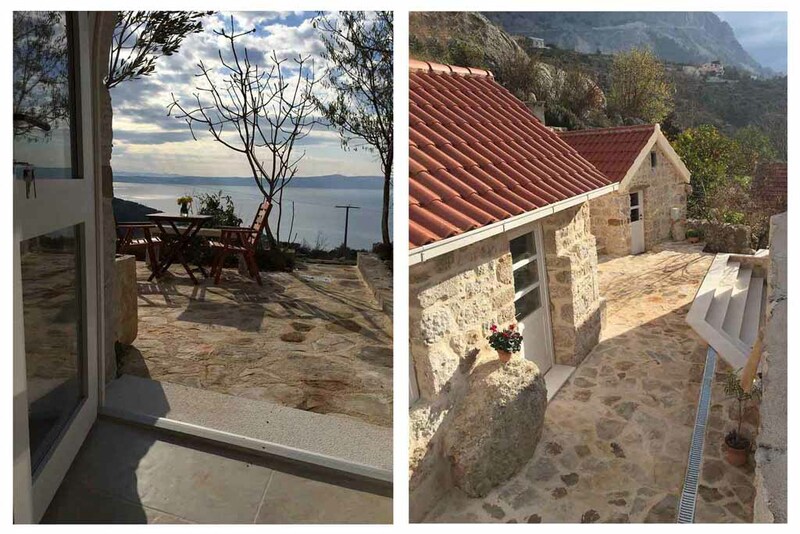 Villa DANI / for 6 - 8 persons / 200 m²: Luxury stone villa with pool for rent situated in a small Dalmatian village of Podgora near Makarska (8 km) at the foot of a mountain "Biokovo", surrounded by olive groves, pine trees and Mediterranean plants, 1 km away from the city of Podgora and all the attractions, but at the same time, thanks to its location and the beautiful sun-drenched position with large garden, surrounded by olive trees and Mediterranean plants providing privacy and a quiet holiday. 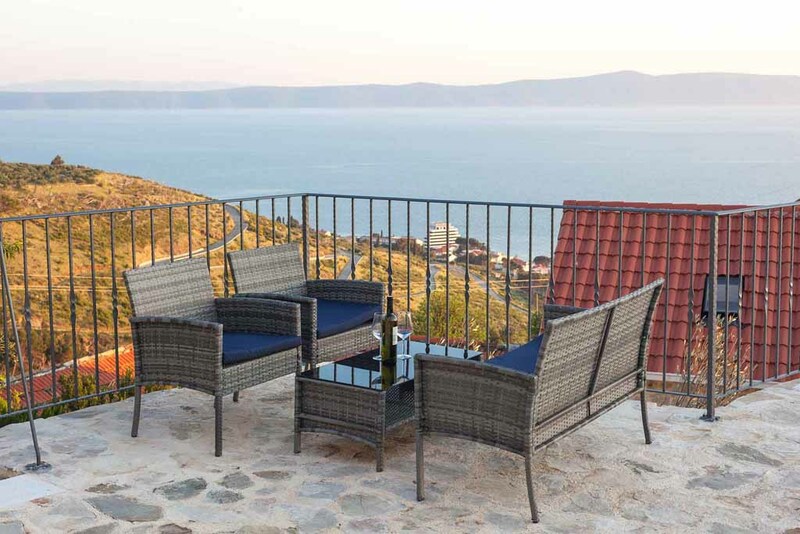 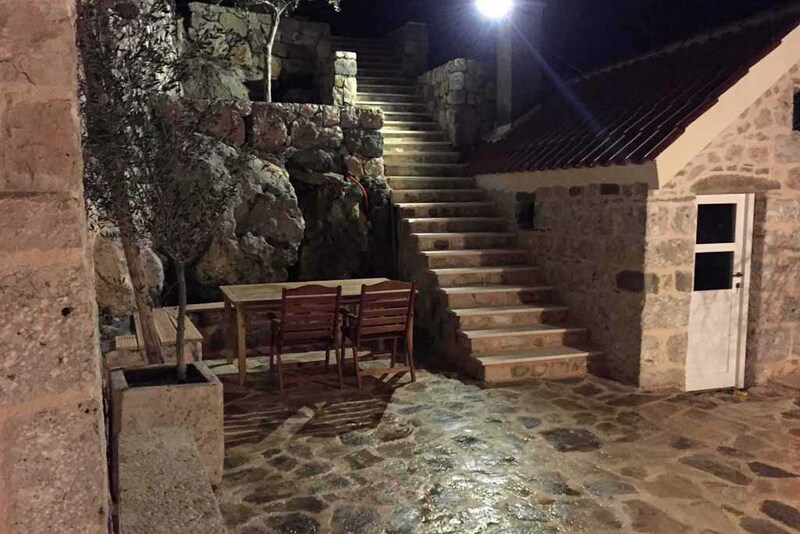 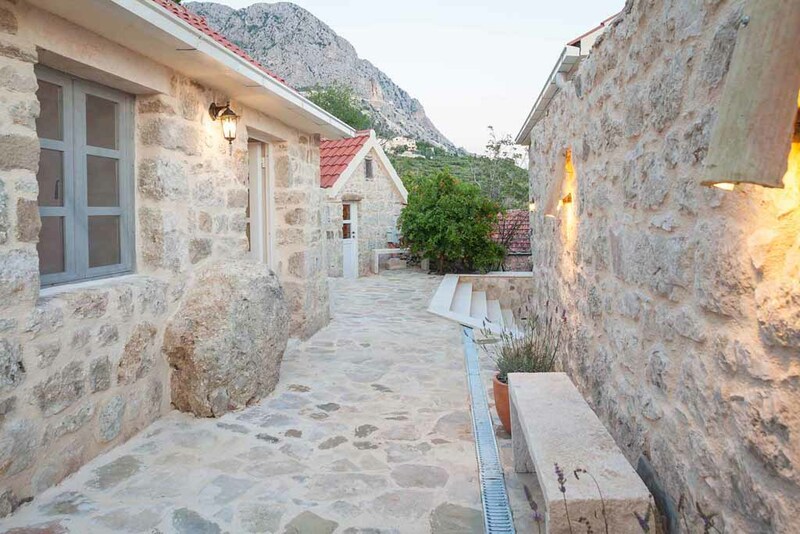 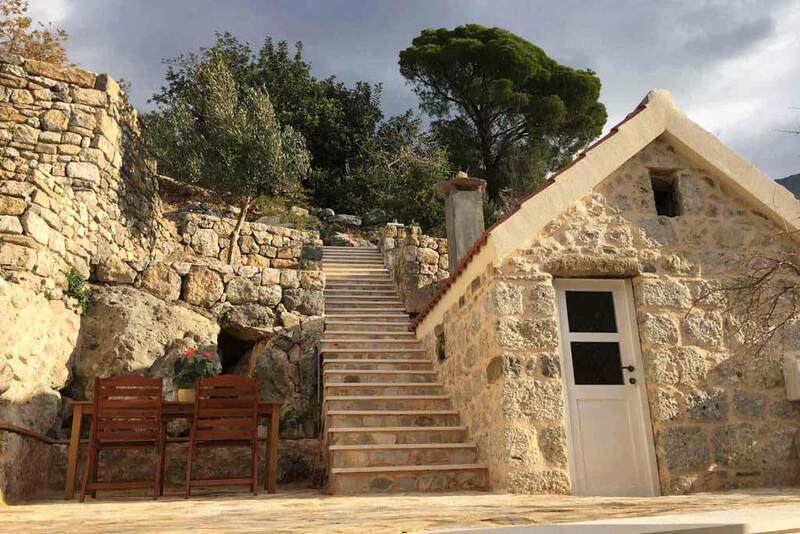 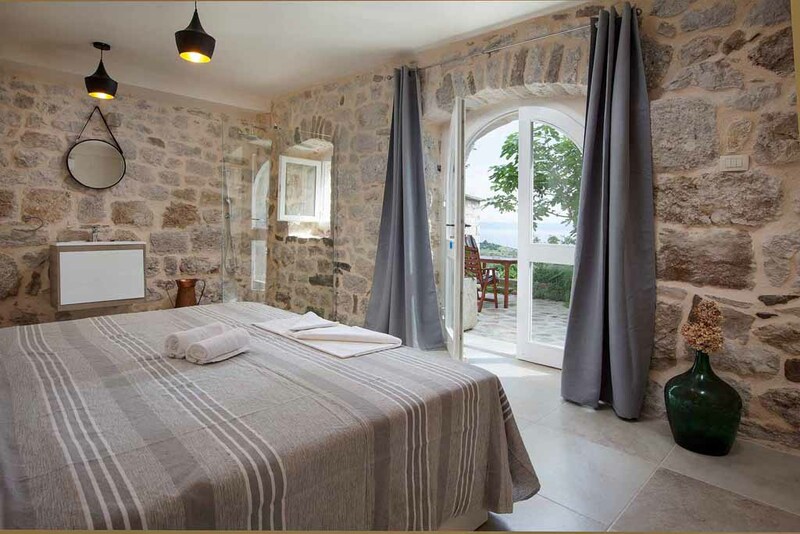 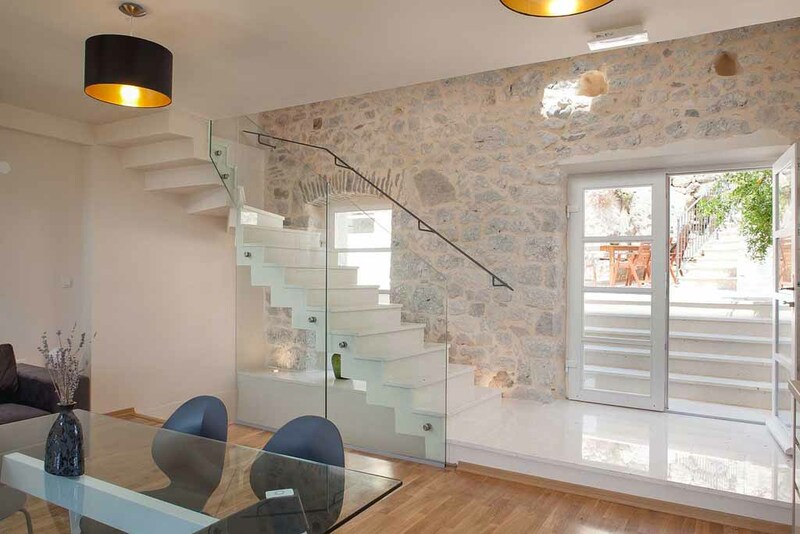 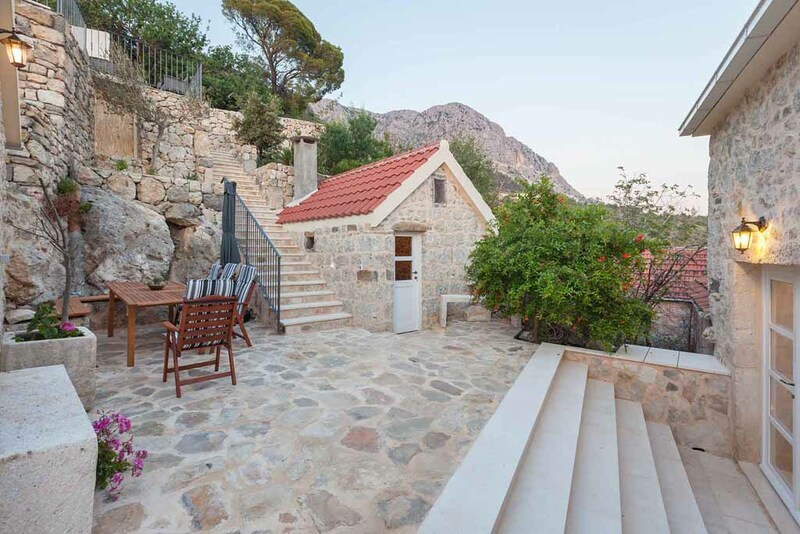 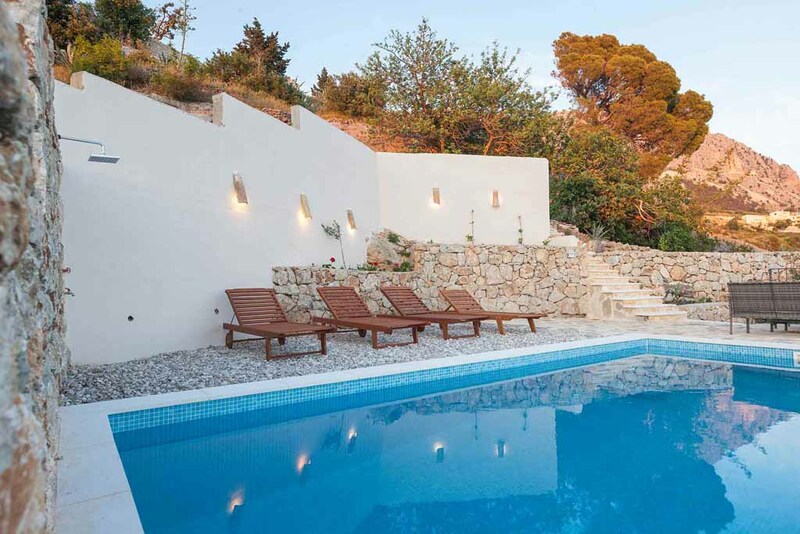 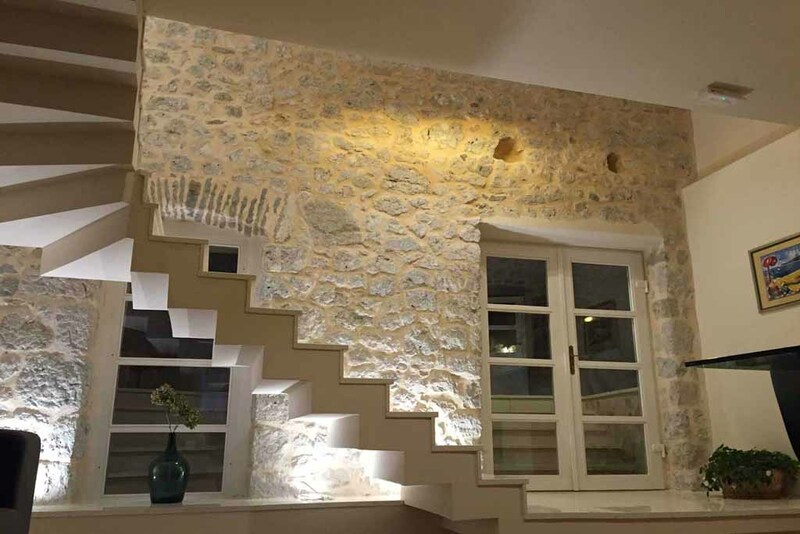 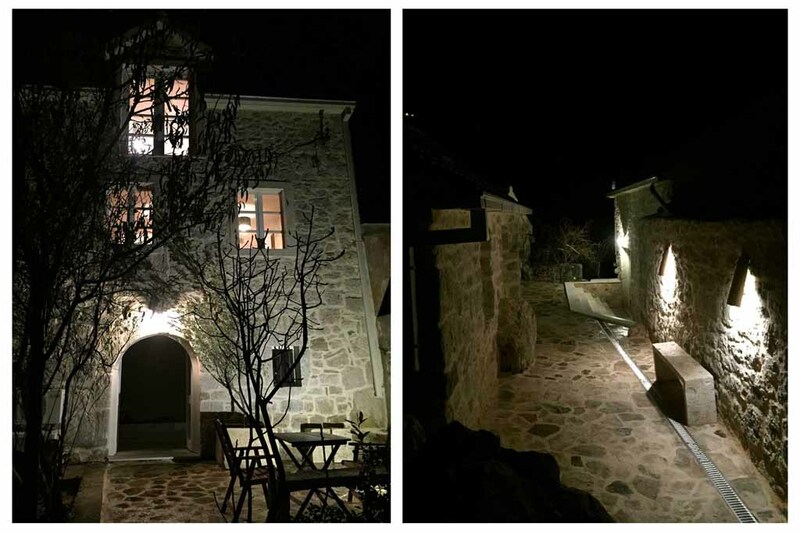 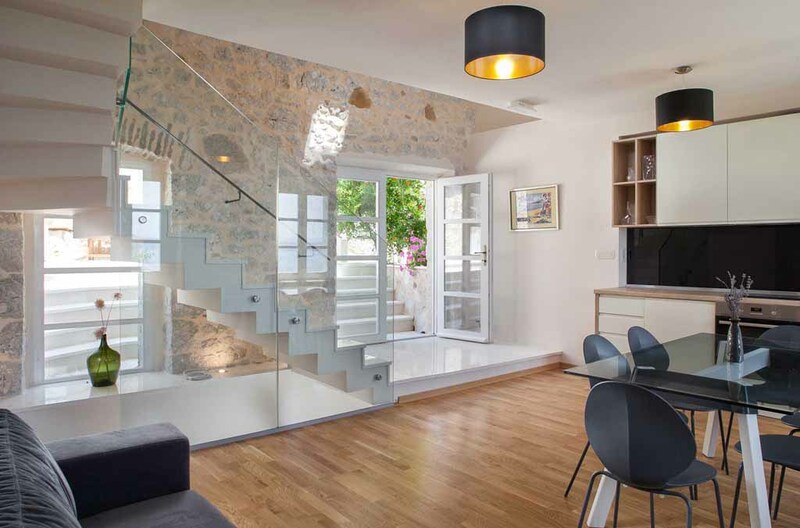 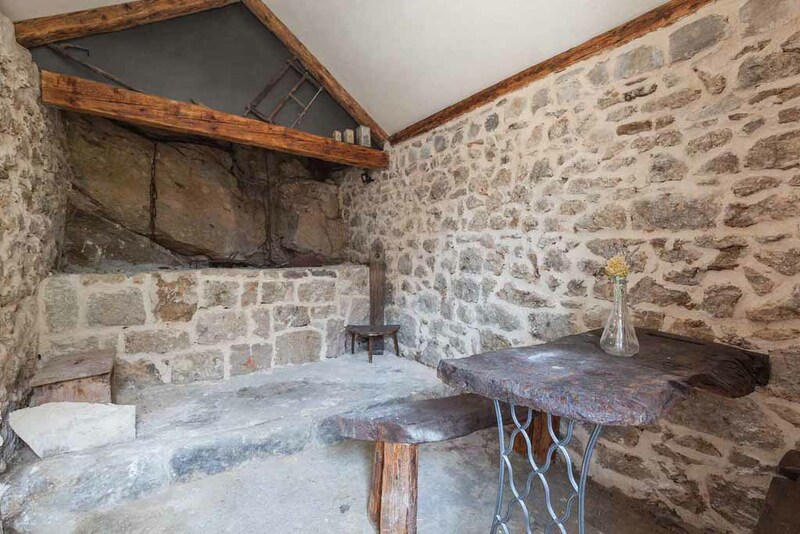 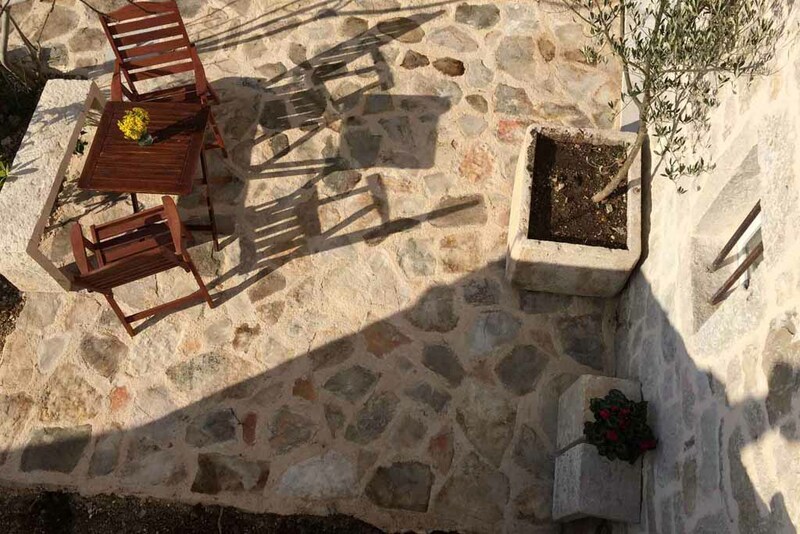 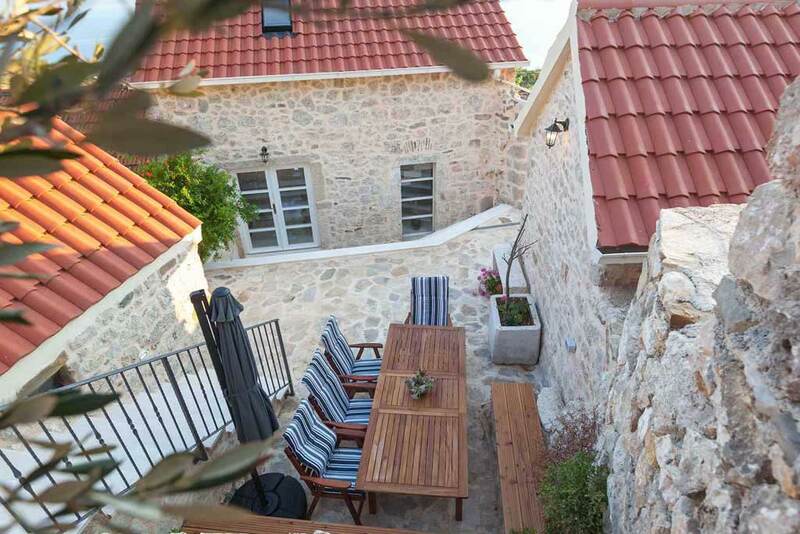 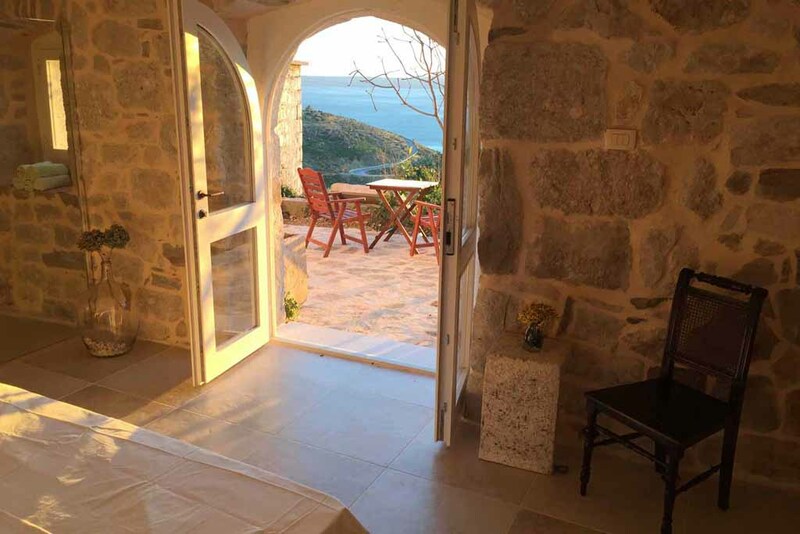 The villa is built in a traditional Dalmatian style and renovated in 2016, a blend of traditional construction with stone walls and modern furniture offers a pleasant stay. 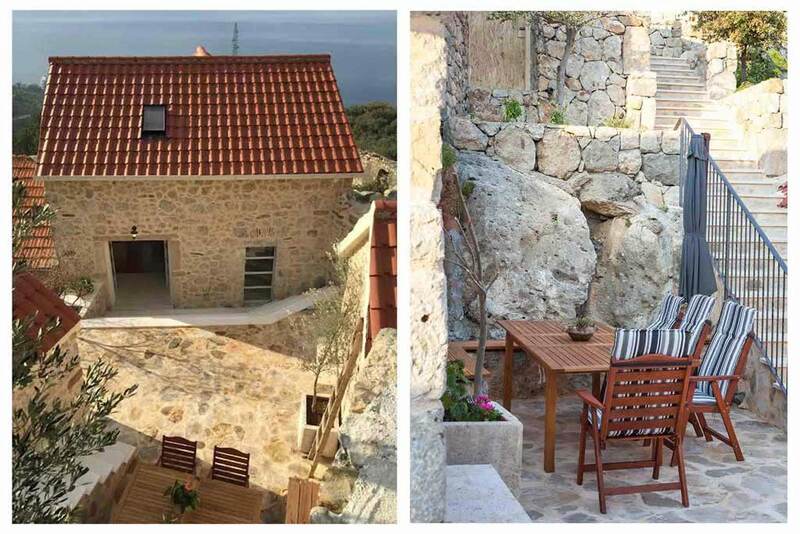 The villa consists of three separate stone houses with common garden and swimming pool on a plot of 600 m². 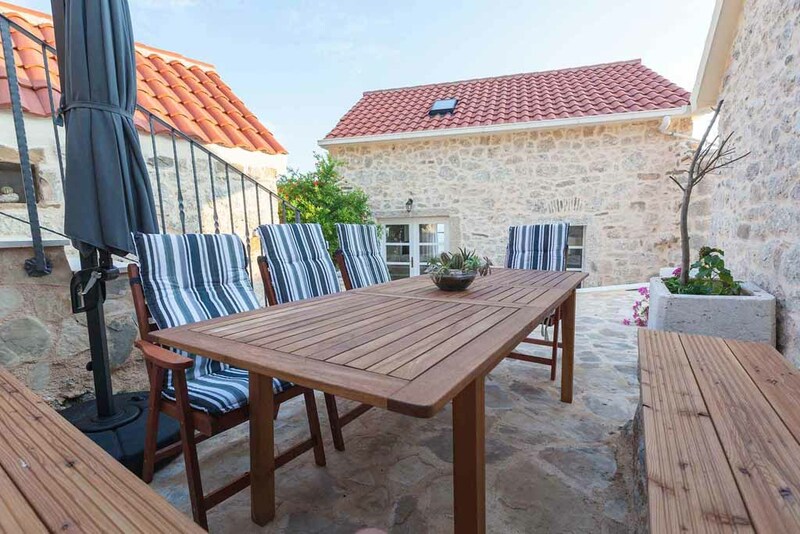 It has 3 double bedrooms + living room + kitchen + dining room + corridor + 3 bathroom / wc + room for druženej + terrace and pool. 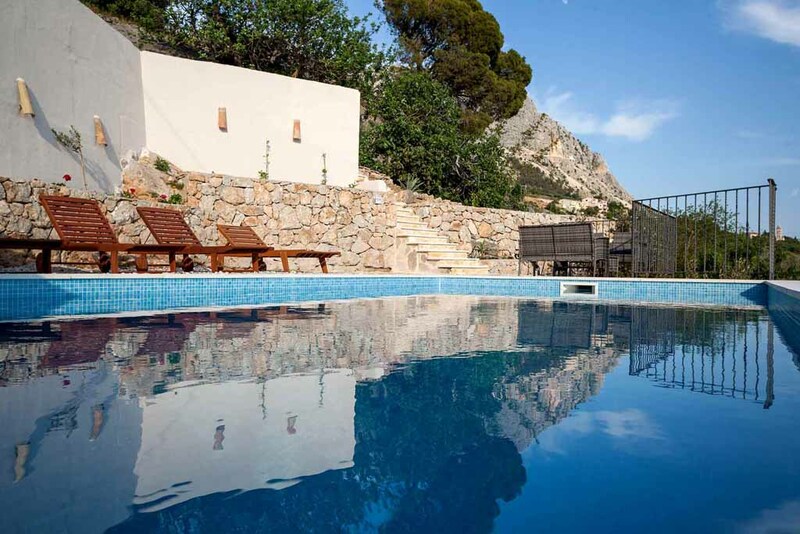 Villa has a private pool 7 x 3.54 m (24.5 m²) and 1.5 m deep. 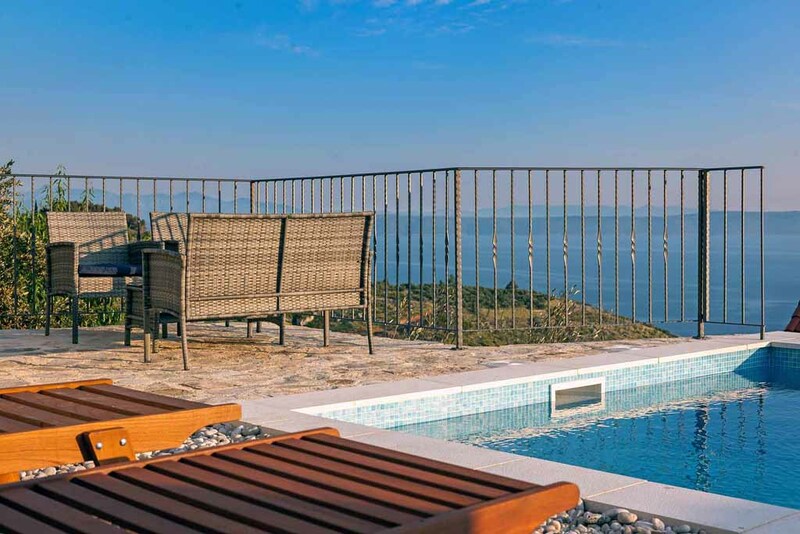 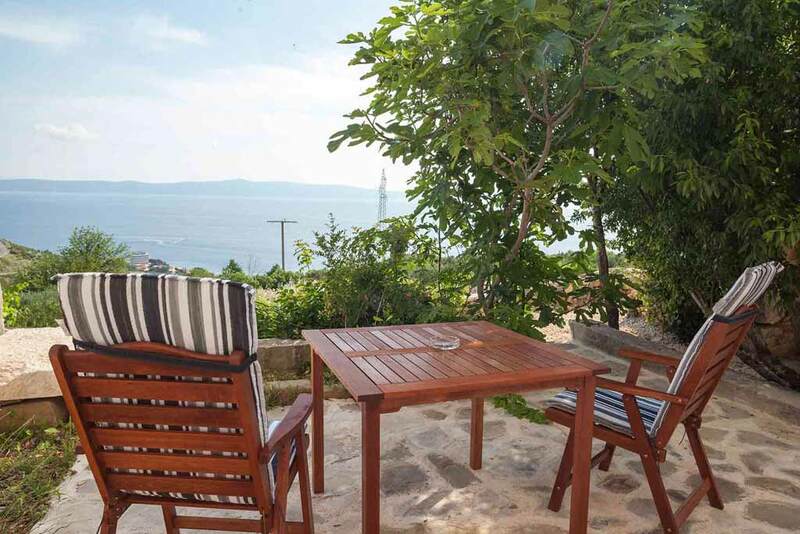 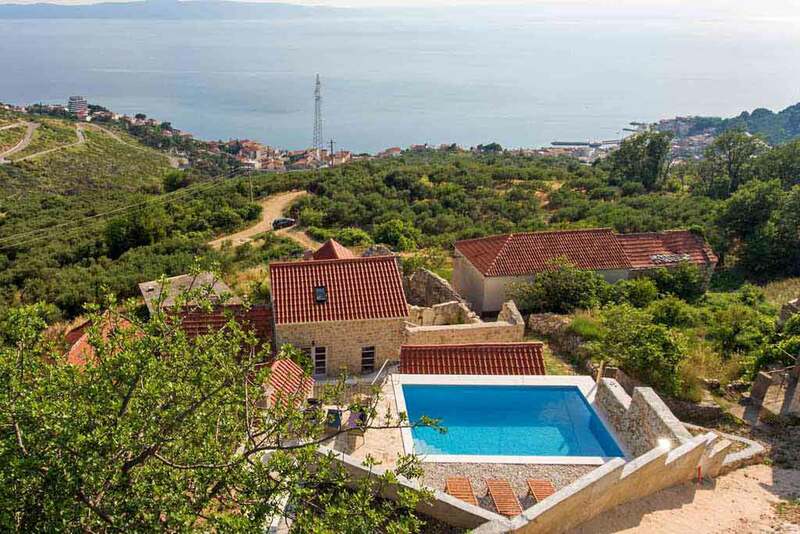 From the balcony, swimming pool and terrace offers a beautiful view of the sea and islands of Brac and Hvar, and on the other hand, the view of the mountain slope. 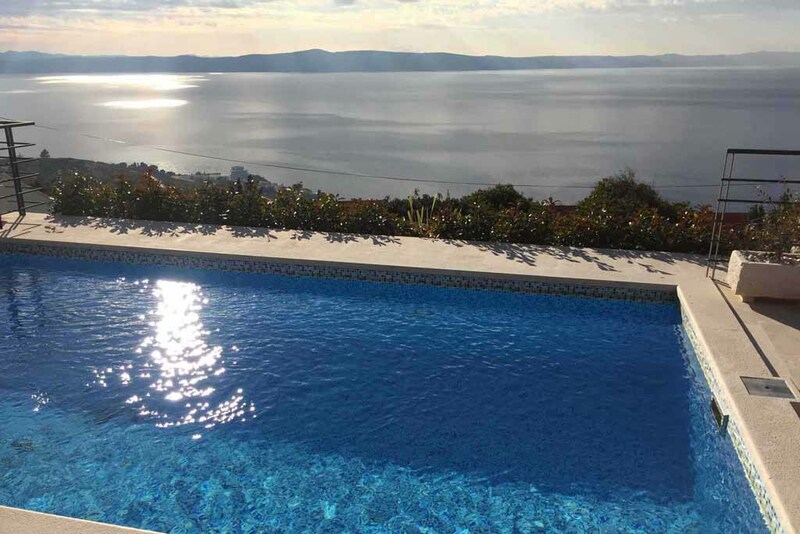 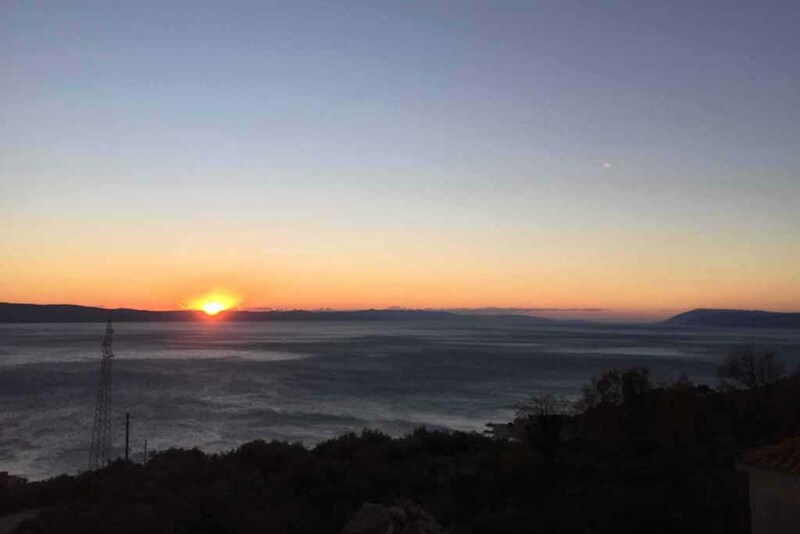 If you decide to spend your holidays in Croatia and Makarska Riviera, we hope you will choose one of our villas and we look forward to your arrival. 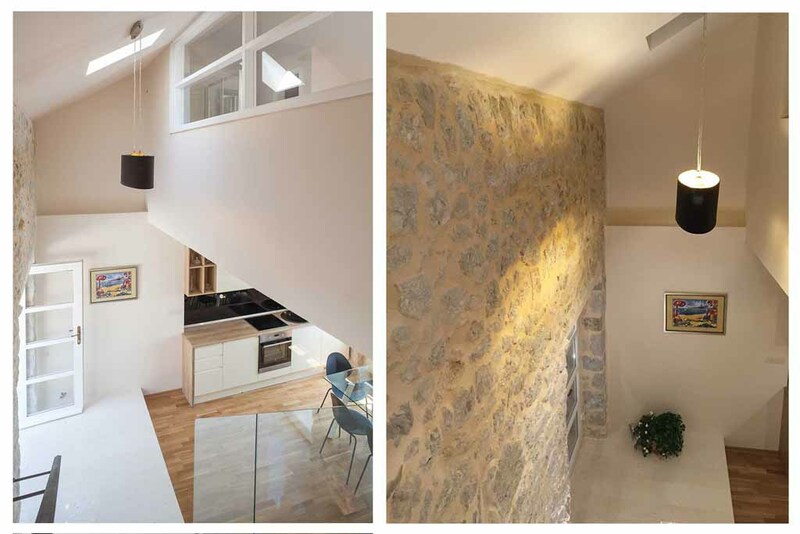 Switchboard house consists of three floors, ground floor, first floor and attic. 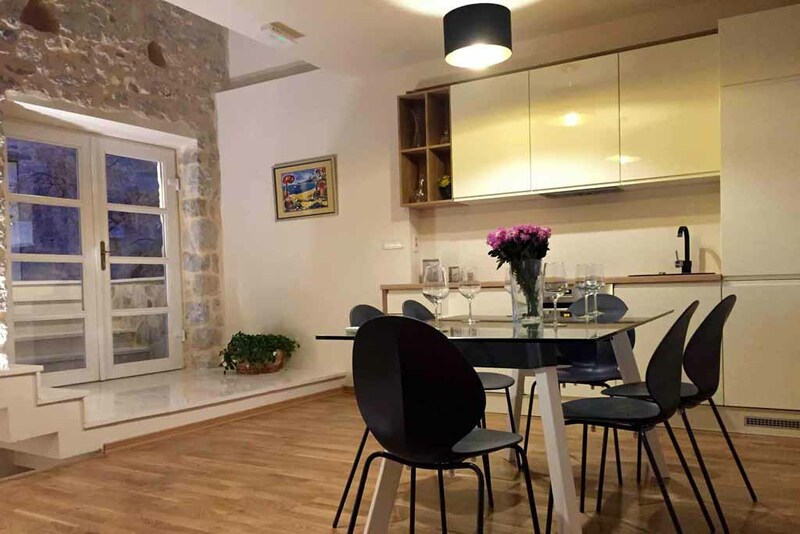 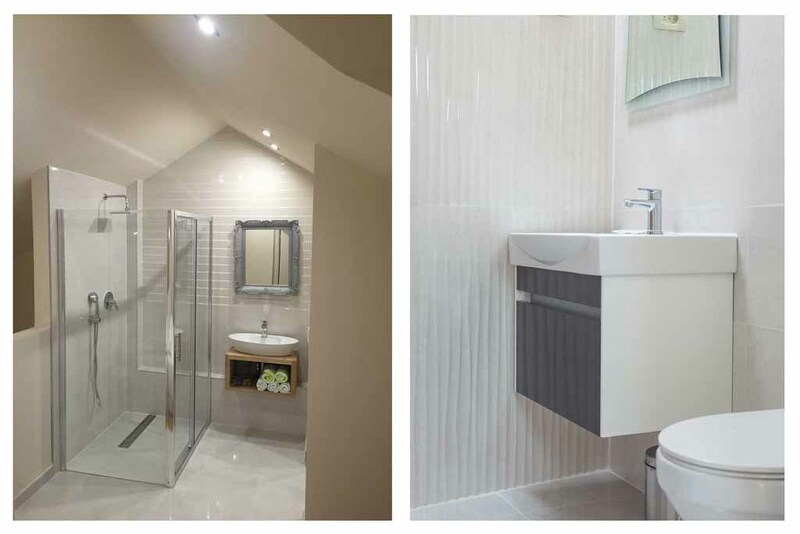 On the ground floor is a double bedroom with bathroom, on the first floor is a spacious living room, dining room and fully equipped kitchen, on the top floor is a double bedroom with bathroom. 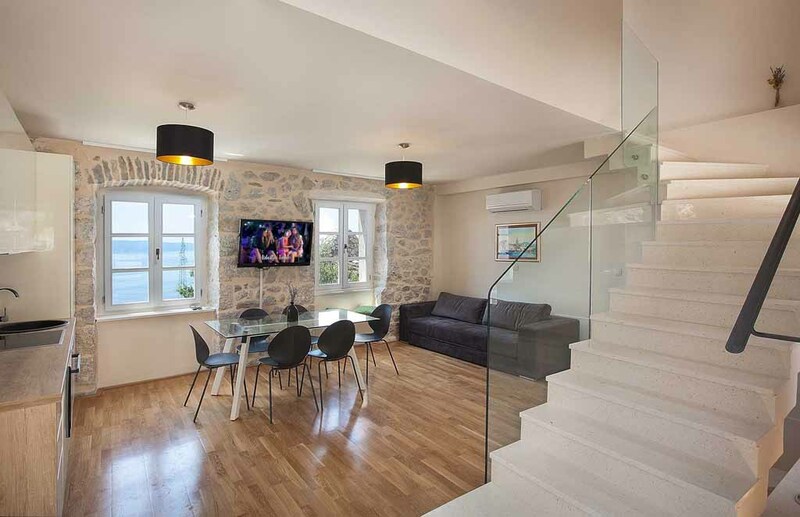 - LIVING ROOM: 30 m², sofa bed, satellite TV + WiFi - Internet + air conditioning + kitchen + access to the terrace and pool from the living room. 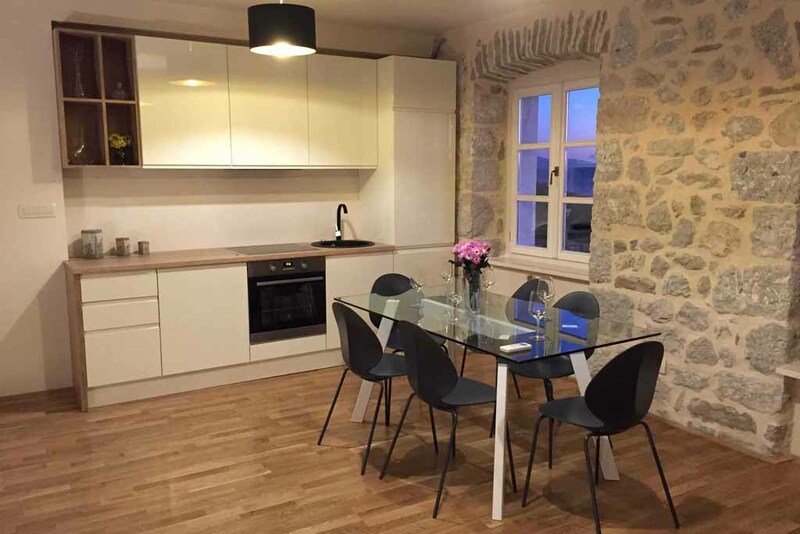 - KITCHEN: Open kitchen with dining room and living room, stove with oven (glass ceramic cooking), microwave, toaster, refrigerator with freezer, dish washer, electric kettle, table and chairs for 8 people, cooking utensils, eating and drinking, cleaning, access to the terrace. 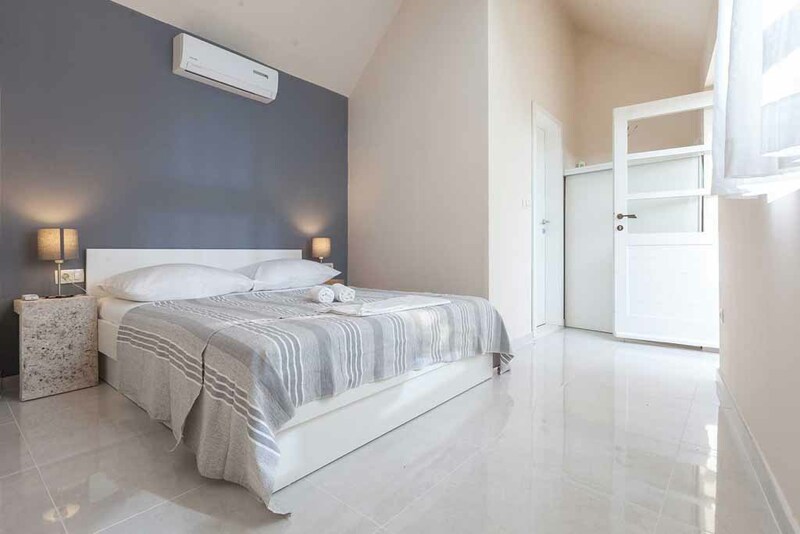 - BEDROOM 1: Double bedroom of 30 m² + a double bed 200 x 180 cm + air conditioning + bathroom / toilet, towels, hair dryer, toiletries + wardrobe + output in your own garden. 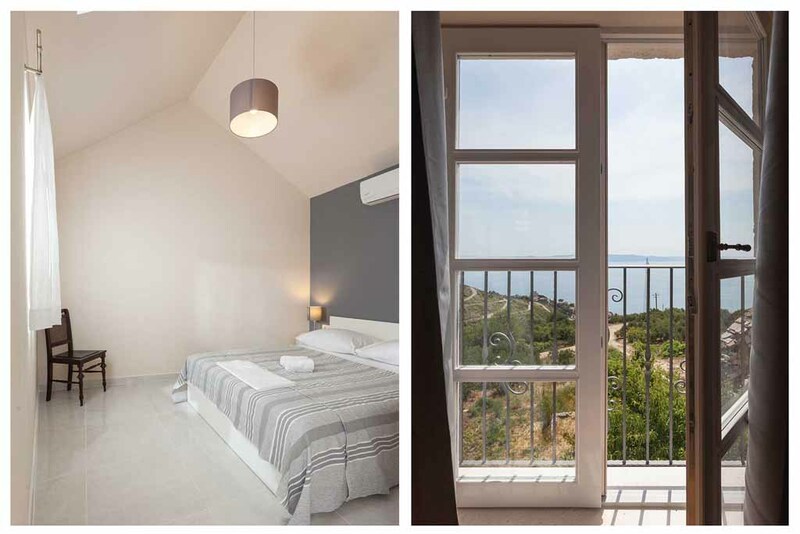 - BEDROOM 2: Double bedroom 22 m² with double bed 200 x 180 cm + air conditioning + bathroom / toilet, towels, hair dryer, toiletries + wardrobe + sea view. 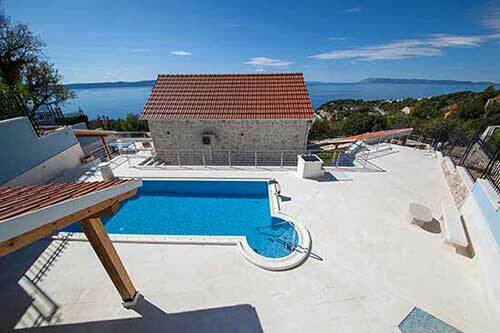 - SWIMMING POOL: Private pool 7 x 3.5 m (24.5 m²), depth 1.5 m, LED lighting. 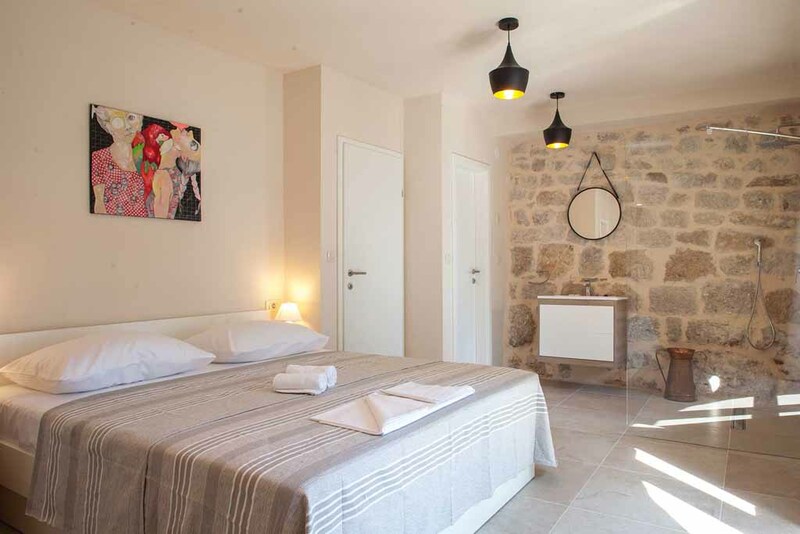 - BEDROOM 3: Double bedroom 22 m² + double bed 200 x 180 cm + air conditioning + bathroom / toilet, towels, hair dryer, toiletries + wardrobe + terrace. 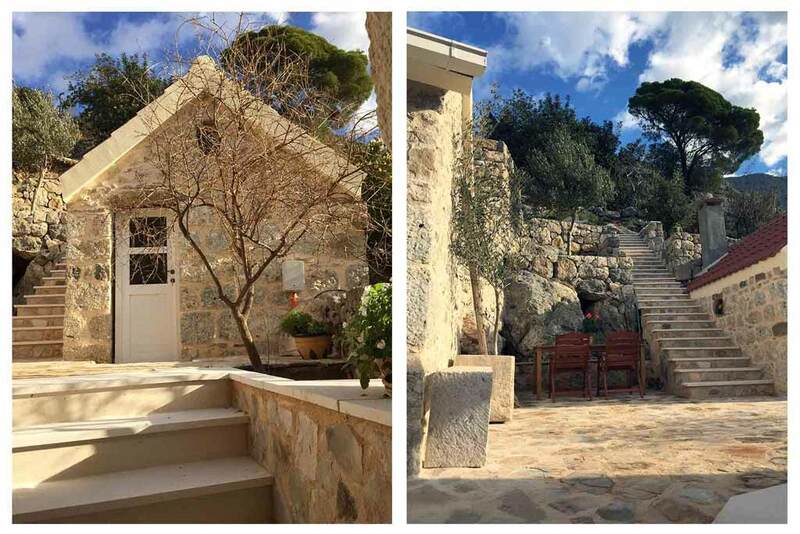 - House 3 is designed as a space for socializing and entertainment, the house has a fireplace and a wide variety table and benches for several persons. 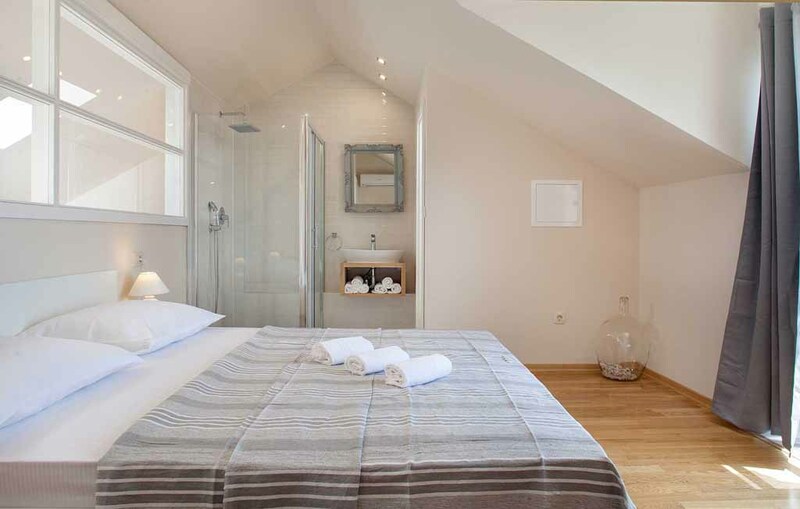 In the living room has an extra bed. 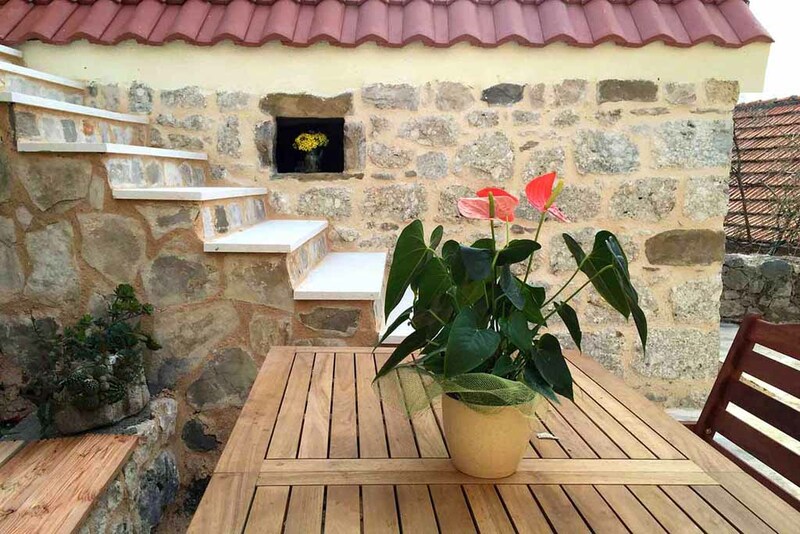 Guest reviews are written by our customers after their stay at Villa Dani.